Doha. 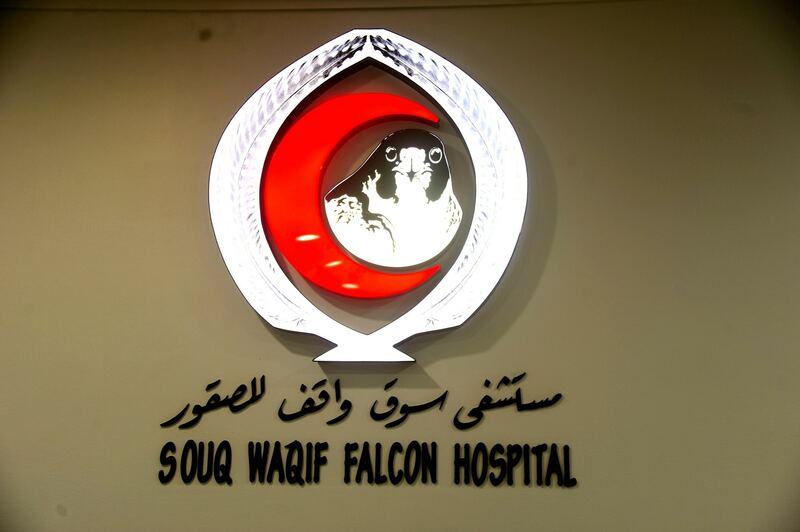 Souq Waqif Falcon Hospital. 7 am. Aloon is perched on a weighing scale. She is 866 grams. Ideal for a 4-year old girl. Jaiba is a tad unwell; a stool test has been prescribed. One patient sits on a green shelf, another fiddles with its jess.Then, she walks in. A pretty one wearing an elegant handcrafted teal burqa. Not a woman, but a young falcon (a falcon hood is also called burqa). Veterinarians in scrubs flip through files with Aloon’s medical history. Jaiba is a new patient. The chip embedded under her skin is scanned and all personal details drop down in the computer. Her name, age, address. Name of the owner. 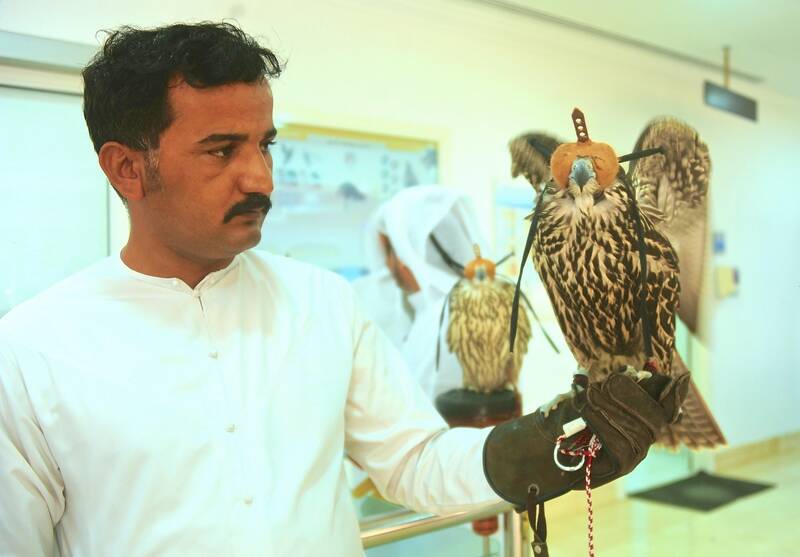 If required, Jaiba will be anaesthetised and treated for a crummy heart.The outpatient ward of the Souq Waqif Hospital is crowded with men and their falcons. With three veterinarians, the state-of-art-facility caters to 140 falcons everyday. Not only treating them for a bad eyesight or an upset tummy but even making them prettier. Trim the notched beak. Clip the talons. Or imp them - a centuries-old technique to replace a broken feather with a close match from a previous molt or from another bird. 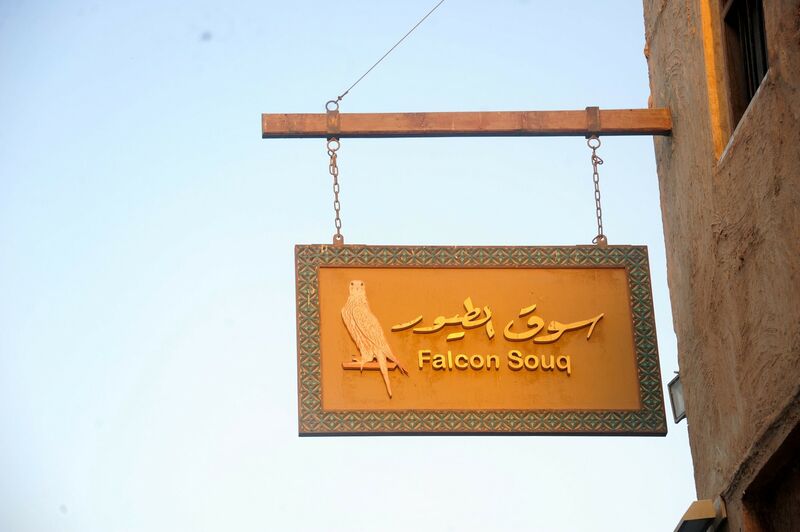 In Souq Waqif, there’s a Falcon Souq catering to the needs of nearly 3,000 falcon owners in Qatar. Cobblers hunch over sheets of animal hide to handcraft the hoods and beautiful jesses are sold as leash. In Birds Centre, Abbas Sufi preens the falcons as they wait for a generous buyer (falcon prices range from Rs 40,000 and can go up to several crore).In Aaahed Bin Ali shop, at least 20 falcons - young and old - sit on shelves ready to be sold. Very few falcons are from Qatar, most come from Pakistan, Iran, Syria, Egypt and some European nations, their species ranging from Lannar, Peregrine, Saker and Gyr. Buyers pay attention to every detail, specially the nostrils - a good falcon has really large nostrils. 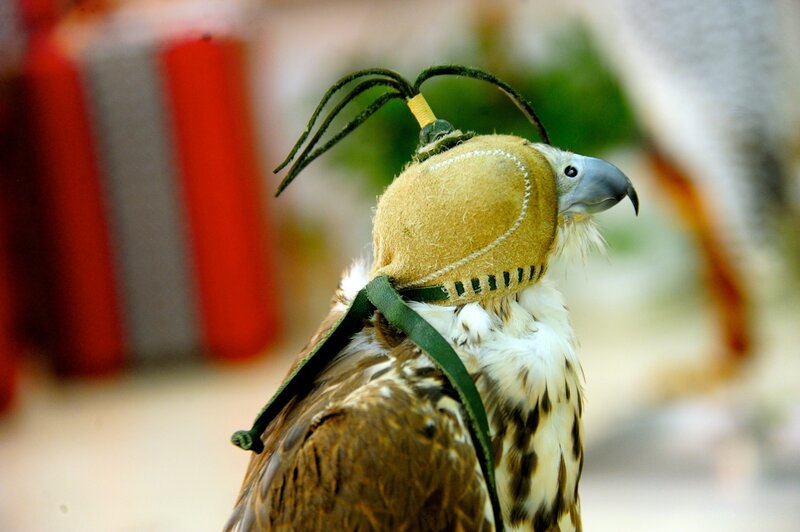 According to Al Gannas, Qatar’s only falconry association, falconry as a sport was introduced in Qatar nearly 5,000 years by the Bedouin tribes. 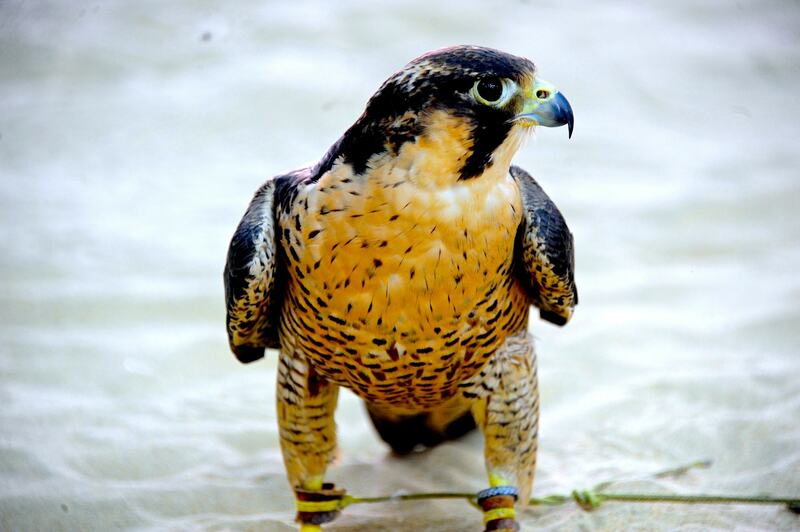 Falcons have existed from the time of the pharaohs.Today, falcons are a part of the national and cultural heritage. There are strict laws about falconry, the first being respect for the falcon. Falconry is amana which means upholding the trust.Al Gannas holds the Annual Qatar Falconry Festival in which the fastest falcon to fly and catch a pigeon can win nearly Rs 20 lakh cash. So essential are falcons for the Qataris that a few airlines allow falcons to fly as passengers in the aircraft (the flight price is equivalent to an adult ticket). Qatar Airways allows carrying one falcon in the Economy Class cabin of an aircraft, and a maximum of six falcons are permitted within the Economy Class cabin of any one aircraft.In Doha, I did not haggle with Abbas Sufi for a falcon price. 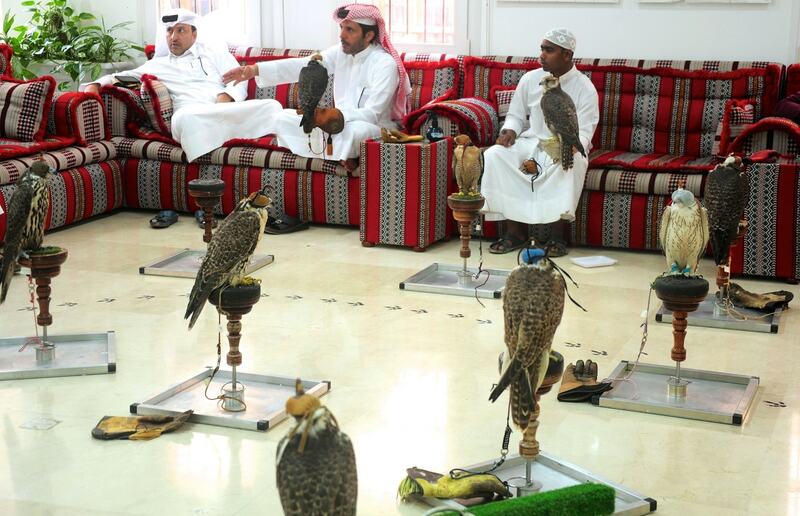 Instead, I sat with falcons in the Souq Waqif Falcon Hospital waiting area. In the Qatar capital. I fell in love. With a badass bird of prey.